These doors are built to last. All aluminum extruded main frame, no plastic. Deluxe heavy duty handle and latch. 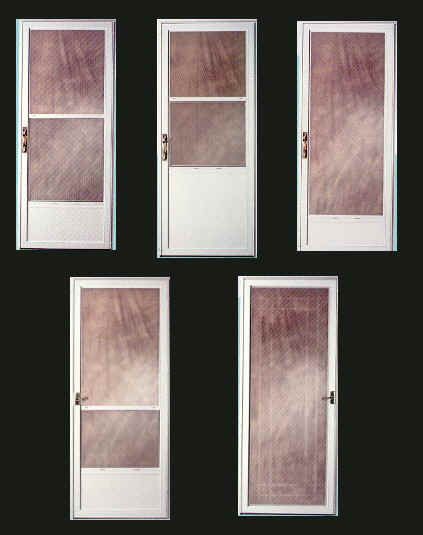 Four self-lubricating hinges. Heavy duty torsion bar closer. Adjustable u-shaped aluminum sill expander with double sweeps. Kick panels have two layers of embossed aluminum, reinforced with solid wood laminate.